If you watch TV very often you might find yourself asking, “Fathers, who needs ’em?” Fathers, according to the sitcoms, are the bumbling, awkward parents who need a woman to save them and their family relationships. Even in Disney movies fathers often fall short. They need their daughters to save them from their fearful, “dark age thinking” (think Little Mermaid or Moana). Fathers are consistently taken advantage of by the antagonist of the Disney movie (think of the Sultan in Aladdin or Jane’s father in Tarzan). Fathers also play the “bad guy” by restricting their children’s growth and exploration (like Chief Powhatan in Pocahontas or Mr. Banks in Mary Poppins). Don’t get me wrong. I love Disney movies. But, if they give a true representation of fathers, who needs ’em (fathers, I mean)? Wait, I know the answer to that question. Who needs fathers? WE ALL NEED FATHERS!!! In spite of the representation we see of fathers in film, we need fathers. In fact, these representations are far from accurate. 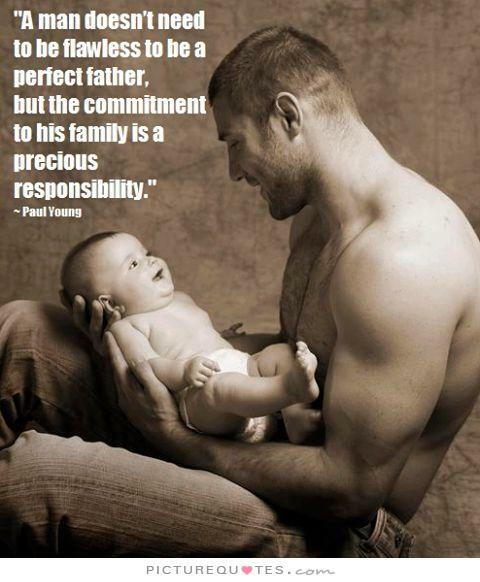 They dramatically misrepresent fatherhood…and do not show the true value of fathers. So, if you’re a mother, encourage your children’s father to become actively involved in your children’s lives. I recently read an interesting article by John A. Cuddeback entitled Reclaiming a Father’s Presence at Home. In this article, he makes a “radical suggestion” that we measure a man’s success in life, his manhood even, by the quality of his presence in his home and with his family. Based on a historical analysis of the diminishing presence of the father in the home, he describes how the success of children and the ongoing success of family are impacted by a father’s presence or lack of presence. Without the active presence of a father, family relationships weaken. The depth of connections become more superficial. Beliefs around productivity and leisure change, succumbing to the more readily available cultural trends that also weaken the family unit (like technology, busy-ness, adult-organized and run activities). It was a very interesting article. I see the validity of his perspective. Fortunately, the author did not stop with the description of how a father’s lack of presence impacts children and families. He also offered some excellent suggestions for reversing this trend. In my mind, these suggestions reveal the most important work of a Dad, the work that will transcend any other work he will every do. These suggestions reveal a work that will make all other activities of a Dad pale in comparison. Let me briefly share these suggestions for the work of a Dad. A Dad’s work begins with loving his wife well. A home begins with a man and a woman who love one another. With this in mind, a man’s presence in the home, a Dad’s work, begins with his presence to his wife. In loving his wife and being present to her needs, a Dad sets the stage for his children’s sense of security. From a loving, nurturing marital relationship flows the love and nurturance children need to thrive. When the marital relationship is marred with antagonism, mistrust, and harshness, children lose their sense of security. They experience the world as antagonistic, untrustworthy, and harsh. They become more vigilant, more skeptical, and more self-protective. When a man loves his wife well, his wife flourishes. Their relationship overflows with love and kindness. They function as a team. Children experience the world as loving, trustworthy, and cooperative. Truly, a Dad’s work in the home begins with loving his wife well. A Dad’s work involves engaging in “home arts” with his family. “Home arts” include activities in which parent and child engage together, generally with the parent acting as mentor. These activities often involved learning together and always mean sharing time together. “Home arts” may include cooking, gardening, carpentry, mechanics, landscaping, music…whatever the interests of your family happen to be. For other families “home arts” may also include activities such as reading, writing, historical explorations, biology, or similar pursuits. Whatever the “home art” that fits with your family, it will involve the Dad making an investment of time and energy in the lives of his children and spouse. It will require spending time together negotiating and pursuing common interests. That is the beauty of Dad’s work in the home. It involves time shared together pursuing a common interest and goal…which leads a third work of a Dad in the home. A Dad’s work means prioritizing shared activities. Shared activities differ from “home arts” because they often do not involve learning as a goal. Shared activities do allow families to enjoy time together and may, at times, overlap with “home arts.” But the main goal of shared activities is to have enjoyable time together sharing fun and life. One shared activity that research has shown to have a positive impact on family is the family meal. Another shared activity research has shown especially impactful when Dads participate is reading together. Other shared activities can include praying and worshiping as a family, singing together, and outdoor activities like playing catch, bike riding, or hiking. These shared activities provide fertile soil for conversations and deepening relationships as your family solves problems and overcomes obstacles together. The work of Dad in the home involves his intentional presence. It begins with loving his wife well. From there it flows into “home arts” and shared activities. Although this work takes intention, it culminates in joy and reveals man at his best! So, Dad, let’s get to work. First, a mother’s rejection, a father’s rejection, and the overall family climate not only predicted changes in the quality of the adolescent’s friendships but their sense of loneliness as well. Second, feeling rejected by one’s father in 6th grade predicted social anxiety in 7th grade and social anxiety in 7th grade predicted loneliness in 8th grade. This was significant for rejection by one’s father but not so much in regards to one’s mother. It seems (in agreement with other research) that rejection by one’s father impacts how confidently a person moves into the world outside the home. So, if you want your children to have the ability to develop and maintain high quality, positive friendships in middle school, nurture and strengthen your relationship with them. Their ability to form positive relationships outside the home begins at home…with you. Dads, this seems to be especially true for your relationship with your teen. Here are a few key ways to strengthen your relationship with your children. Spend time together…lots of time together. Enjoy uninterrupted time with your children. Put aside the distractions (cell phones, papers, TV) and get to know your children. Learn what they like and who they like. Talk about classes, interests, strengths, and fears. Learn about their struggles in the community and which peers present them with the biggest challenges and why. Enjoy fun stuff and endure boring stuff…together. You’ll be surprised by how much you learn. And, you’ll be amazed at how cool your children really are. Listen more than you lecture. The more you lecture, the less they’ll talk. The less they talk the less you will know them. On the other hand, the more you listen, the more they’ll talk…and the more you’ll get to know them. Listen intently. Listen patiently. When they say something that arouses your urge to lecture, Don’t Do It! Instead, show empathy for their feelings around the topic. And, get curious about their thinking about the topic. Ask them questions out of a genuine curiosity to know them better. As you do, they will continue to talk…and you will get to know them better. They will continue to talk…think…and learn. They’ll learn about the topic and you’ll learn more about them as they review their approach to the topic out loud. All you have to do is listen and…. Problem-solving together. Our children will approach us with concerns and struggles when they know we will listen and empathize. As they recognize our efforts to understand their concern and their point of view, they will open up to discuss and problem solve with us. We will have created an environment of mutual respect that allows for cooperative problem solving. In the process, we will also deepen our relationship with our teen. Practice these three actions and you can help prevent pervasive loneliness in your middle schooler. You will also increase your middle schooler’s confidence in making friends and the quality of their friendships. Denzel Washington’s most recent movie is Roman J. Israel, Esq, a film about a lawyer, the law and America’s justice system. I haven’t seen the movie yet, but I –have enjoyed hearing Denzel Washington’s quotes about fatherhood during interviews about the movie. Here is the quote getting a lot of notice. I’d like to add something wise and inspirational to his statement, but I really find nothing to add. I completely agree with his statement. If I were to add anything it would be a call to action. If you want to improve our communities and our country, step up as a Dad. Don’t let the streets raise your children. Don’t leave them empty and searching for a father figure. Become actively involved in their lives. Teach them values that will cultivate personal integrity, strengthen family ties, and enhance community stability. Let’s get started today! I remember watching my father when I was five or six years old. He greeted people as they left the worship service. I watched him closely. I saw the way he shook hands. I listened to how he spoke to people. I observed how he moved and the tone of his voice. I wanted to be just like him. Several years later, as a teen who wanted only to be myself, I volunteered at a nursing home where my father worked as chaplain. One of the residents saw me walking toward her and said, “You’re the chaplain’s son aren’t you?” “Yes I am. How did you know?” “I could tell by the way you walked,” she replied. “You walk just like him.” I had watched my father closely and become like him, even in actions as subtle as walking. Fathers play an enormous role in their children’s development. They teach, guide, and discipline their children toward maturity. They also influence their children in subtle ways. Specifically, they teach their children through example. Children watch their father’s closely…very closely. They imitate their fathers. They long to be like their fathers. And, they become like their fathers. Fathers can respond to that responsibility by carefully considering what behavior they exhibit for their children to imitate. Strive to exhibit positive behaviors like respect, service, honesty, humility, kindness, and love. I want to offer one more caveat in this regard. Children not only imitate the good, the trivial, and the bad in their father’s behavior; but, they imitate it without adult constraint. In other words, they will take their father’s behavior “to the next level.” A Jewish story tells of a young man who was caught stealing an apple from the merchant. Upon examination, it became apparent that he did not become a thief “out of the blue.” It began generations ago. His grandfather read from the Torah and related commentaries while exhibiting a false sense of humility. All who saw him praised his pious humility. In effect, he “stole” the admiration of his followers. With his false humility, he became a thief of the people’s praise. His father, following the grandfather’s example, read various commentaries and took credit for the wisdom they offered. He had stolen the ideas of others and passed them off as his own, a thief of intellectual property. The grandson, following the example of his ancestors, stole an apple from the merchant. Each generation followed a downward spiral of imitation. Do your children hear you speak badly about other people? They will likely learn to do the same, but without adult restraint and caution. Do you children see you get tipsy at a party? Perhaps they will see nothing wrong with smoking marijuana or popping a few pills as they enter the teen years. Do your children hear you lie and so breach trust with your employer by saying you are sick so you can miss work? They may learn to lie to cover a breach of trust with their spouse. Do you speak harshly to your wife? Your child will learn to disrespect her as well. Your child will learn to ignore her requests, disregard her rules, and speak to her rudely. Do you come home from work to sit around the house and watch TV rather than remain active in maintaining the household? Your children will learn that helping around the house is not important. In fact, it is useless, not their job. They will come to believe that housework and maintaining a household is their mother’s work. In response, they will become couch potatoes avoiding all housework and playing video games. You get the idea. Your children are watching…and learning. They will imitate your behavior without adult constraint, taking it to the next level. So, make sure you leave a positive example for your children to imitate. Let them imitate your respect, service, helpfulness, and honesty without constraint. Your home will be a happier place.